Don’t worry! We mean Donald Duck, not Donald Trump! It’s a follow up to Epic Mickey 1 and 2 that never got made or released. Either way, an artist called Pat Block has put up artwork of the game on eBay, showing what appears to be various elements of the cancelled title. 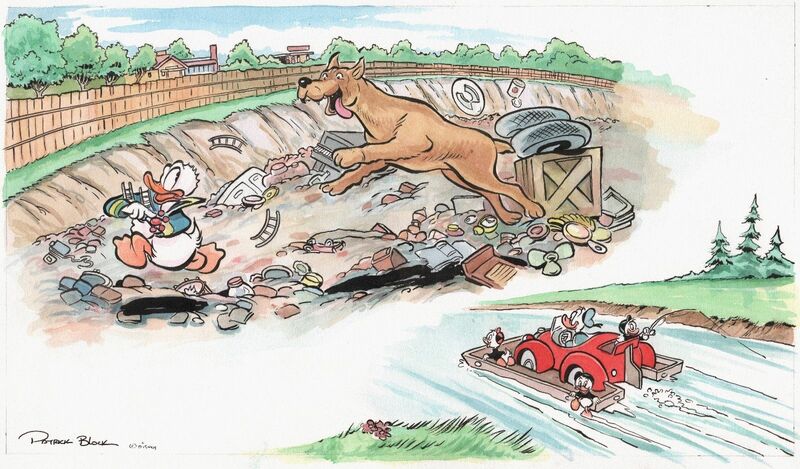 These include a rubbish dump with a dog chasing Donald, a set of boat skis for Donald’s car to navigate rivers, and the inclusion of his nephews from DuckTales as well! As you can see, it looks to be a very interesting game overall, and one that pays quite a bit of a homage to both Donald Duck comics and DuckTales too. It’s light hearted, it deliberately pays tributes to Carl Barks’ comics and looks a hell of a lot better than Epic Mickey ever turned out to be. So what killed it? Why did such an interesting looking game never get made? Well, based on the Assembler Games topic, Disney leaving video games was what caused it to die out. Basically, Disney left console games to focus on tablet and smartphone ones a year or so ago. And so with that being the case, they just never decided to go through with the game. There’s also the matter of Junction Point in general, who shut down after Epic Mickey 2. Presumably, they were meant to make this game at one point. So without them existing any more, Disney didn’t have anyone to pass the project over to. Hence why they decided to just leave it at the concept art stage. But what do you think? 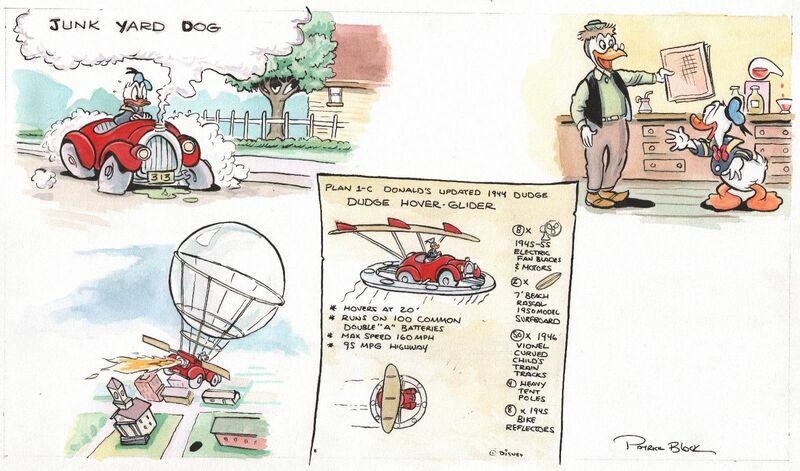 Would you have wanted to play Epic Donald? And if it was released, could it have salvaged Junction Point’s reputation? Post your thoughts on this here or on social media today! Epic Mickey the Power of Illusion; Aladdin Level Screens!